This novelty geometric print in lilac is based on the pelicans at Pismo Beach in California. A few cheeky pelicans have even swooped a fish - lucky birds! 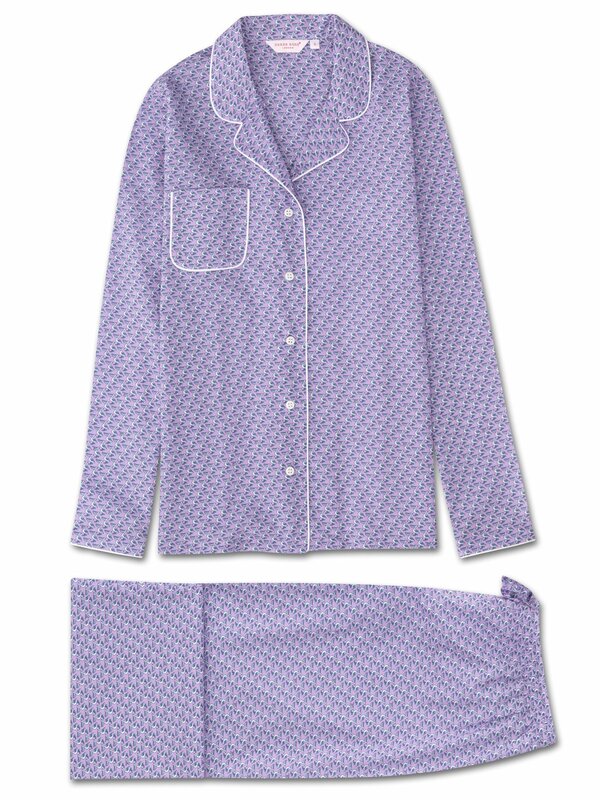 Designed for a flattering but comfortable shape, our women's pajamas will keep you looking great and feeling comfortable throughout the seasons. Made from our ultra-fine lilac pink cotton batiste, the jacket features a fully piped finish in a white trim, a single patch pocket and mother of pearl buttons. The quality of craftsmanship continues with the pants and their elasticated waist with self fabric drawstrings for added comfort. A firm favorite of our customers for its breathability, lightweight properties and luxuriously soft feel, our cotton batiste fabric has become a signature of Derek Rose quality. 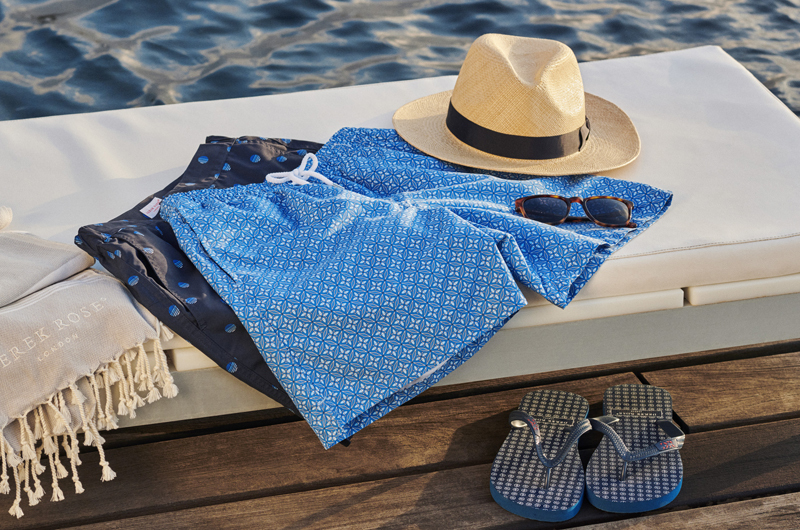 A dream to lounge or sleep in, our PJ sets are also perfect for holidays in the sun, as they're not only comfortable in warm climates, but also light to pack and easy to carry.